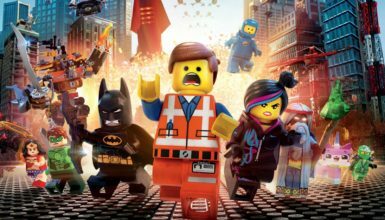 Ever since The Lego Movie first released in 2014, the Lego brand has exploded in popularity, especially with the creation of Lego Movie Sets. The releases of multiple Lego video game series and television series, even before the movie came out, also expanded the Lego name into the video game and television industries. Alongside the TV series Masters of Spinjitzu, the Lego Nijago Movie is based on the Nijago toyline. 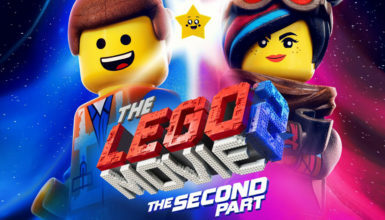 This movie is also the second spin-off of The Lego Movie, following The Lego Batman Movie. The Lego Nijago Movie stars Dave Franco, Justin Theroux, Jackie Chain, Michael Pena, Kumail Nanjiani, Abbi Jacobson, Zach Woods, and Fred Armisen. At the beginning of the film, we are shown a brief live-action segment before moving into the story proper. Early in the movie, we are introduced to the troubled personal life of the high school student, Loyd Garmadon. During a day at school, Loyd and his friends are rushed into action as their ninja personas to defend Ninjago city from the onslaught of Loyd’s father, Lord Garadon. During the journey, Loyd and his party are once again confronted by Lord Garadon. After an intense showdown between Master Wu and Lord Garadon, Master Wu is seemingly killed. Needing the guidance of a ninja master for the reminder of the journey, Loyd and the gang have no choice but to take Lord Garadon with them. Coming across a fork on the road, the team makes a bad decision by taking the shortcut route. As a consequence, Loyd and his dad are captured by the undead generals Lord Garadon previously dispatched. Loyd’s friends take off but quickly work up the courage to go back and rescue him. With Lord Garadon’s help, Loyd and his gang are able to escape the undead army and arrive at Lord Garadon’s old family home. It is here the group finds “The Ultimate, Ultimate Weapon.” However, upon finding the object, Lord Garadon betrays the ninjas and makes off with the weapon, leaving the ninjas to die in the crumbling castle. Despite this, the ninjas are able to escape and reunite with Master Wu on his air ship. The gang all return to Ninjago city where Loyd is able to, finally, redeem his pops from a career of crime (and take down the rampaging cat in the process). To close off the movie, we return back to the live-action segment where the storyteller offers to train a young listener in becoming a ninja. As a movie mainly targeted for kids, The Lego Nijago Movie contains several themes and messages you would expect a kids movie to have. Perhaps the biggest theme of the movie is that true power comes from within. The overall experience is positive and uplifting but also very simple and generic. While these are good messages for kids, they don’t really offer anything of substance for an older audience. The sense of humor on the other hand is spot on throughout the movie. The small moments in particular with city citizens and school students really bring life to the world. It is definitely one of the best parts about the movie. In fact, I found the best parts of the movie to be the action and the comedy. Specific moments, especially during the second half of the movie, fall more into melodrama. While I don’t particular care for these parts, I found I enjoyed the overall experience. Being based on a Lego toyline, the movie contains several of really cool designs for characters, environments, and vehicles. I am not familiar with any of the recent toylines myself so I cannot say rather these designs are direct adaptions or remixed. Regardless, like the other Lego movies, this one features a ton of great eye candy. Some highlights in this movie include the ships used by the ninja team and Lord Garadon’s design. The Lego toy company actually did release around 20 Ninjago LEGO sets based on the film. These sets I feel would be good fun for younger kids. The movie features original music from Mark Mothersbaugh, along with a few pop artists. While the music is very fitting for this type of movie, it is not really my taste. For those who might be interested, there is a separate soundtrack album available. However, it should be noted that the album only contains Mark Mothersbaugh’s material and none of the pop songs. The Lego Nijago Movie is a fun movie full of personality, charm, and wit. I would definitely recommended this movie not only for kids but for anybody who enjoys good martial arts action and comedy. While I would prefer Bruce Lee’s movies when it comes to classic ninja action, The Lego Nijago Movie holds up well enough for families and kids.